The fifth day of the Decades Blogathon, being hosted by Mark of Three Rows Back and yours truly here at DSB, gives you a review from James, who runs the fantastic Back to the Viewer which you need to browse over if you haven’t before. 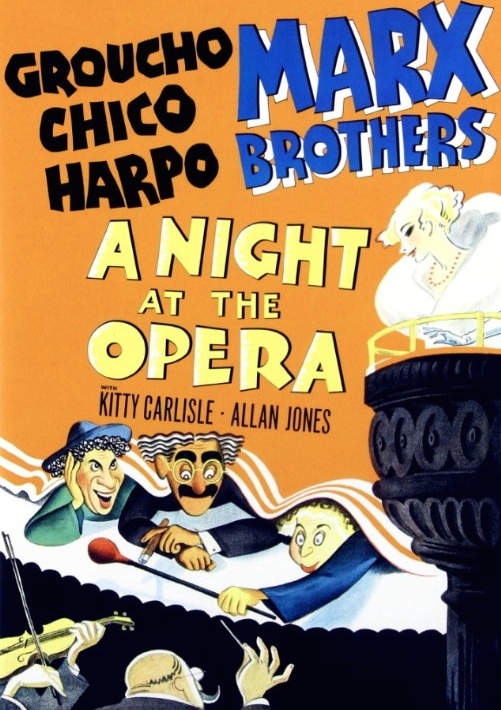 James is taking a look at the 1935 comedy/musical A Night at the Opera. “And now, on with the opera. Let joy be unconfined.